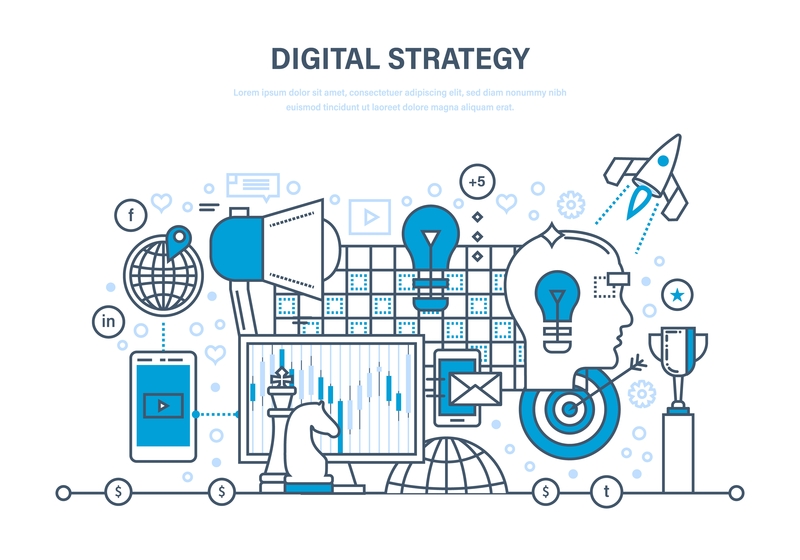 What is True Digital Strategy and What It Isn’t! 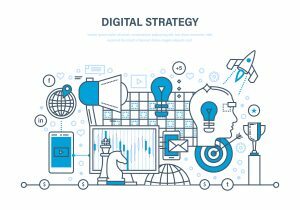 Digital strategy or digital marketing strategy refers to the plan you have to reach your business goals through online methods. Though aesthetics are important, the digital strategy goes well beyond how things look. It encompasses the tactics you will use to attract customers and drive your business forward. A digital strategy begins with setting goals. You need to determine the core objectives of your marketing campaign before you can figure out what steps you need to take. Whether you want to increase online leads or drive more visitors to your website, having defined goals is the key first step to developing a strong digital strategy. You can also create buyer personas as part of your digital strategy. Start with demographic information, such as gender, age, and location. Then dig deeper into what pain points or problems your customers need help solving. Having solid buyer personas will help you when you are developing your effective digital strategy. Taking stock of your assets is another part of the digital strategy process. Audit your earned, owned and paid media and rank how effective each tactic is for your overall business goals. Earned media is publicity you have gained that you did not have to pay for, such as a press release that was picked up by a local newspaper. Owned media refers to assets under your control, like blog posts, emails, and social media accounts. Paid media, of course, is media that you have had to spend money to earn, including pay-per-click ads or other paid promotions. You can evaluate each piece of your marketing puzzle to determine which tactics are working and which need to be revamped. Next, you will need to determine which tactics should fall into your digital strategy. Some key elements include email and social media marketing. Content marketing is another important area to consider, as it positions your company as a thought leader in your industry. Video marketing is increasingly popular, and you can launch video ads on most social media platforms. Artificial intelligence can be part of your marketing mix too, as chatbots dominate modern websites and content becomes more and more personalized. Do you need help forming your digital strategy? Look no further than the Borenstein Group, a Top DC marketing agency. We are here to kick-start your digital marketing journey. Get in touch with us today for a free consultation.